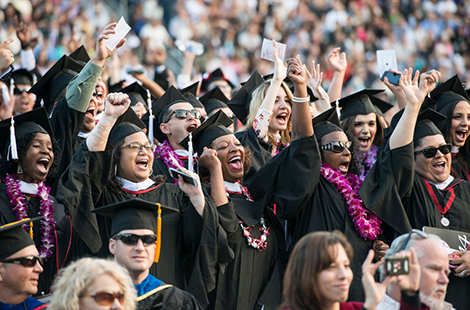 The annual Social Mobility Index ranked CSUN fifth in the nation for its impact on the improved earning power and economic prospects of its graduates and Diverse: Issues in Higher Education website ranked CSUN No. 16 on its 2014 list of Top 100 Degree Producers to students of color. Read more about the rankings. Eric Edson, professor and the director of the graduate program in screenwriting at CSUN, has been named one of the top 15 art professors in Los Angeles by The Art Career Project experts. Read more about Edson. CSUN Men’s Basketball Coach Reggie Theus was honored by the Sacramento Kings as one of their 1985 Legends, as Theus was a member of the first team to play in California’s capital. Read more about Theus. Wed., Nov. 5, 7 p.m. The Valley Performing Arts Center will provide free tickets to faculty, staff and students to attend a performance of The Touré-Raichel Collective, featuring Vieux Farke Touré, Idan Raichel, Souleymane Kane and Uri Kleinman on Friday, Nov. 7, as part of a campus initiative and outreach to the CSUN community. The Institute for Community Health and Wellbeing and the Marilyn Magaram Center for Food Science, Nutrition and Dietetics invite you to obtain general information and learn about setting a serene backdrop for lactation on campus. This session is open to anyone interested in going solar at home. Bring your utility bill for an analysis of what it costs, what you’ll save and whether it makes sense for you.